Have you seen my sanity? Here’s a rundown of what I’ve got going on this month. I had a fabulous time at RT in Atlanta. I got to see so many old friends and made some new. I’ve got some pictures to share (you’ll find them below). This coming weekend, I’ll be at Romancing the Falls with my Canadian pals. I can’t wait to see everyone! The next Symphony book, Trinity of Light, is going through editing and will be released later this year. Then, I’ll begin the final book in the series. 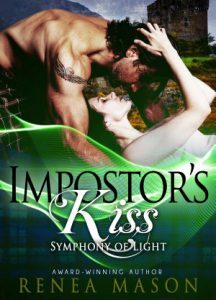 This week, I re-released Impostors’ Kiss and Between the Waters with new covers AND all of the audiobooks got upgrades. If you have read Symphony of Light and Winter, make sure you check out the next books in the series. It has been a year since Noah, Erin, and I won the Audie Award. This year’s nominees have been announced, with the ceremony happening June 1. Congrats and best of luck to all authors and narrators. This is such a tough competition, and it’s an honor to just be nominated. Check out this year’s nominees here. I was on Blog Talk Radio! Wednesday evening, I was chatting with Bennet Pomerantz. You can listen here. I’m celebrating Audiobook Month in June with this fantastic opportunity. 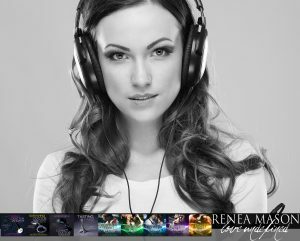 My PA is organizing the Audio Delight Audiobook Giveaway. We’re looking for authors to participate. ANY GENRE is welcome to join. This is a great way to grow your fan base while getting your work out there. Prizes will include an Audible subscription, audiobooks, and more! Cost is only $10 per book included. The more authors that participate, the more prizes we will offer. SIGN UP HERE. If you know an author that would like to participate, please share the form. Symphony of Light, Book #2 a short story prequel to Symphony of Light and Winter. Magic is no match for love…. Gratitude turns to comfort, comfort turns to desire, and desire leads Linden to a shocking revelation. In her charge to uncover the truth behind Mary and Moreaux, she discovers a spell she can’t undo without leaving wounds on her heart, wounds she knows will never heal…. The book is available in e-book, paperback, and audiobook. The Audie Award winning team of Noah Michael Levine and Erin deWard (Curing Doctor Vincent) narrate the Symphony of Light series also. Choose your favorite way to consume the series and buy today! Want an audio sample? Click Here. If you’ve ever been wondering what’s safe to do in the bedroom during pregnancy, here is a fun article with some interesting information. It’s surprising what they recommend, and what you should save for post-delivery. P.S. This is a new feature that we’re trying. If you enjoy this and would like to see more, make sure to click on the link so we can see that people are interested in reading these tips. We’ll work on finding more interesting articles to share.